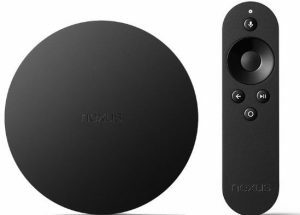 To install Kodi on Nexus Player is less than ideal, however it can be done! The [easyazon_link identifier=”B00OMBA74C” locale=”US” tag=”arizonacaorg-20″]Nexus Player[/easyazon_link] doesn’t allow sideloading of apps, so the Nexus Player XBMC install process basically forces us to install SPMC (Kodi’s cousin) from the Google Play Store in order to use Kodi (or “XBMC”) on our Google Nexus. The Nexus Player doesn’t support hardware acceleration with XBMC / Kodi / SPMC, so we need to disable hardware acceleration for videos to play in XBMC without crashing. Open Google Play Store in the Apps area of Google Nexus Player. Agree to the terms & conditions, then go back to the home screen. 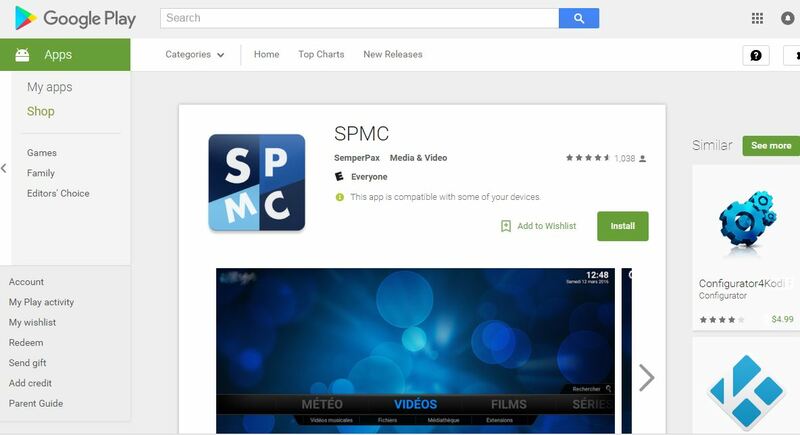 Using a computer, open your browser and go to the Google Play store. After Kodi (aka XBMC, aka SPMC) launches, go to SETTINGS just below the SYSTEM menu. In the bottom left corner, modify the “Settings” level to be “Advanced“. Un-tick the “Allow hardware acceleration (MediaCodec)” choice. 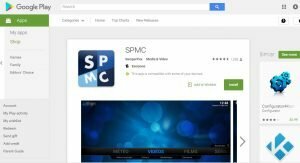 Go back to the SPMC / XBMC home screen (aka “Kodi dashboard”). Finally, use our easy step-by-step video guides to Install TV Addons so you can stream TV and Movies! Take a quick look at ClawTV.com to see What’s on Kodi & Netflix. The Google Nexus Player uses the “x86” version of Kodi for Android. Hardware acceleration doesn’t work in Kodi on the Nexus Player, so you must disable it using the steps above. Otherwise, SPMC will crash every time you go to play a video.